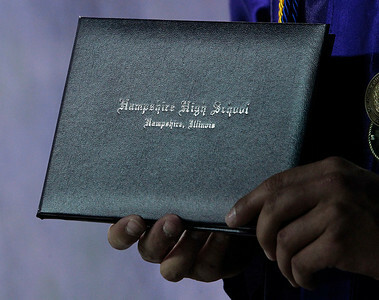 Kyle Grillot - kgrillot@shawmedia.com Micheal Dumoulin holds his diploma as he poses for a portrait during the Hampshire Commencement Saturday at the Sears Centre. 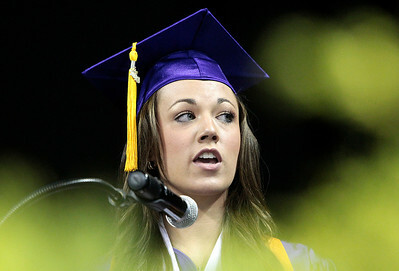 Kyle Grillot - kgrillot@shawmedia.com Valedictorian Keeley Sawyer gives her speech during the Hampshire Commencement Saturday at the Sears Centre. 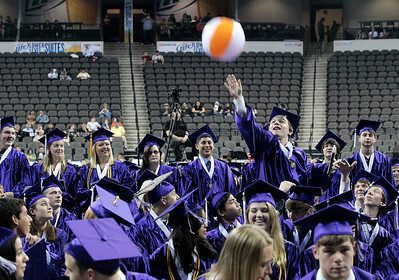 Kyle Grillot - kgrillot@shawmedia.com Senior Eric Follman reaches out to hit a beach ball during the Hampshire Commencement Saturday at the Sears Centre. 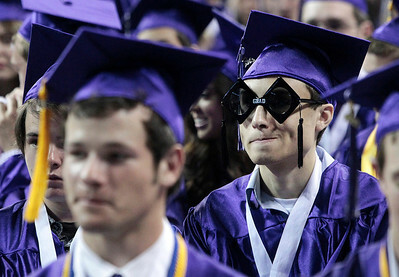 Kyle Grillot - kgrillot@shawmedia.com Senior Brian Calderon waits after receiving his diploma during the Hampshire Commencement Saturday at the Sears Centre. Kyle Grillot - kgrillot@shawmedia.com Graduates and Matthew Burkett and Abigail Burke wait to enter the arena before the Hampshire Commencement Saturday at the Sears Centre. Kyle Grillot - kgrillot@shawmedia.com Hampshire students exit the arena of the Sears Centre after the Hampshire Commencement Saturday. 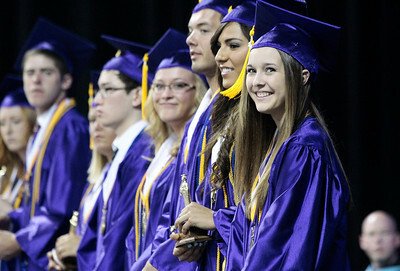 Kyle Grillot - kgrillot@shawmedia.com Honor student Sydney Zilch smiles as her name is mispronounced during the Hampshire Commencement Saturday at the Sears Centre. 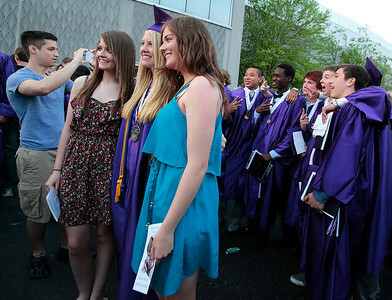 Kyle Grillot - kgrillot@shawmedia.com Graduates reconnoiter with friends and family after the Hampshire Commencement Saturday at the Sears Centre. 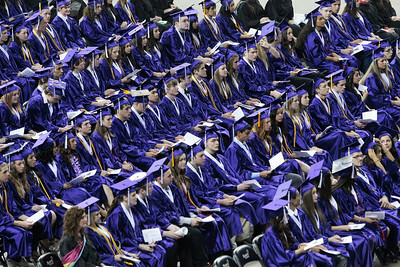 Kyle Grillot - kgrillot@shawmedia.com Graduates listen as the Principal Chuck Bumbales gives a speech during the Hampshire Commencement Saturday at the Sears Centre. 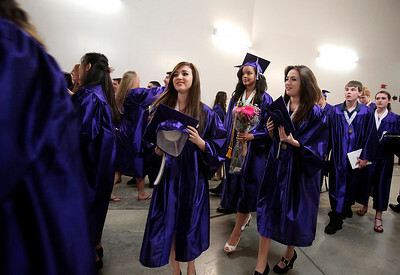 Hampshire students exit the arena of the Sears Centre after the Hampshire Commencement Saturday.